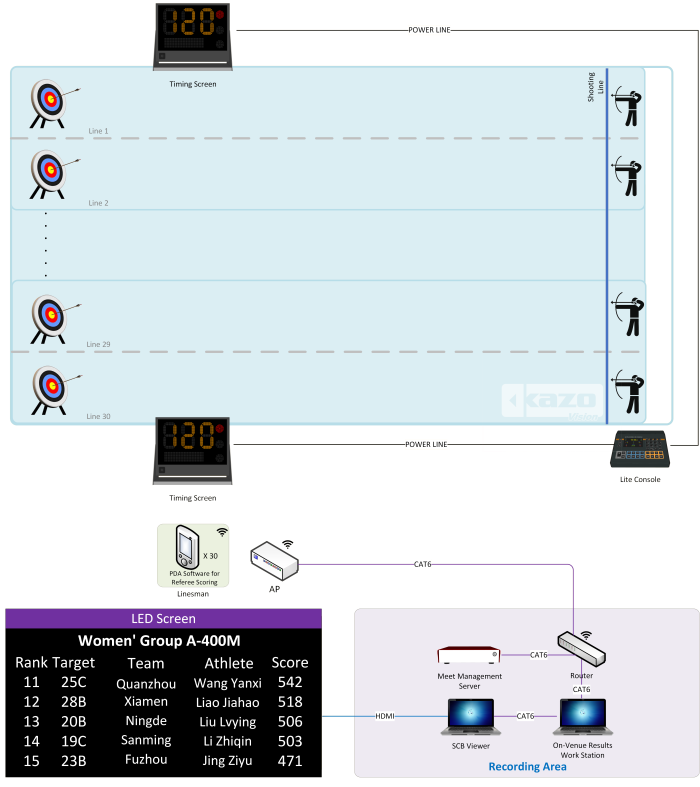 Arrange the match, and generate the game against diagram. Can be used together with Ultra Score Software. Control the match timer control. Can be used with Ultra Score System. Display match timer and the info of player. Used with Ultra Score System. Must be use together with Archery Scoring Software. 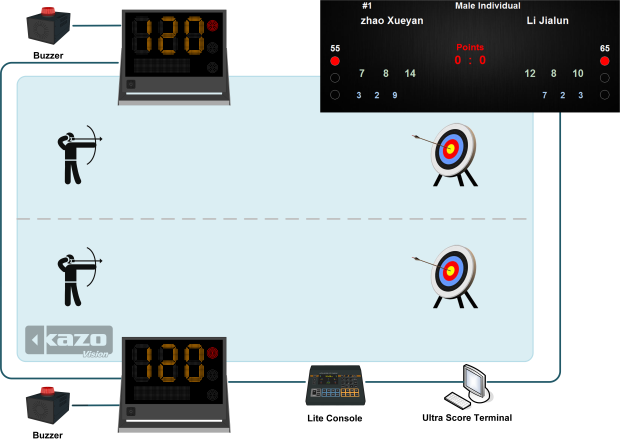 Gather the real time arrow speed and display on the scoreboard.